It is hard to imagine a world without cell phones now, but many of us lived a good many years before they became as commonplace as they have become. 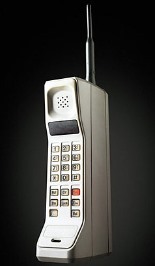 The first cell phone to be offered for sale commercially didn't happen until 1983. To be exact, March 6, 1983 is the date that is documented as when the first cell phone went on sale to the public. 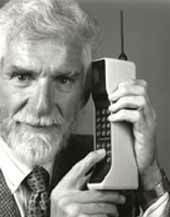 Dr. Martin Cooper actually made the first phone call over a cellular network in 1973, but it took an entire decade before the Motorola DynaTAC 8000x was sold as the first commercial handheld cellular phone in 1983. DynaTAC was an abbreviation of Dynamic Adaptive Total Area Coverage. The 8000x weighed about 1.75 pounds, stood 13 inches high, stored 30 numbers, took 10 hours to recharge for just 30 minutes of talk time or 8 hours of standby and cost $3,995 (which equates to over $9000 today with inflation). Despite the steep price and the inconvenient size that certainly didn’t fit in anybody’s pocket, there were actually waiting lists of those eager to get this revolutionary technology which was both a symbol of wealth and futurism. Over 35 years since Motorola launched the DynaTAC 8000x phone (often referred to as the “brick phone”), the number of global wireless subscribers has grown from approximately 300,000 in 1984 to over 20,000 times that number today. The world now has nearly as many cell phone subscriptions as inhabitants. The U.N. telecom agency reports there were about 6 billion subscriptions by the end of 2011 which is roughly one for 86 of every 100 people on the planet. China and India alone account for over 1 billion subscriptions each. 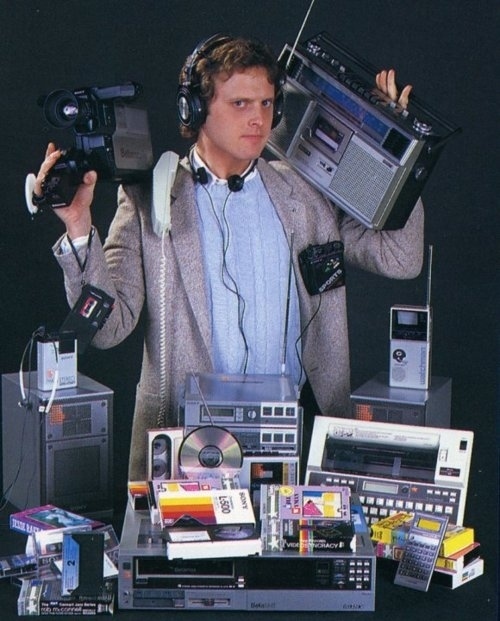 To help put it in perspective, you have to remember that in the early-80s, most HOME phones weren’t even wireless yet. And it wasn’t until the late-90s that cell phones finally became more common. As the years went by, cell phones kept decreasing in both size and price. But back in the 80s, the “brick phone” was definitely a symbol of wealth and being cutting edge. There are two pop culture examples that I always remember best that took advantage of the “brick phone” in that way. The first is when Gordon Gekko used one in the 1987 Oliver Stone film Wall Street. He is walking along the beach at sunrise holding a conversation with Bud Fox and you realize immediately that this guy is seriously rich. The second is when Zack Morris used one on Saved By the Bell. I believe the first time was in Season 1, Episode 3 (originally aired September 8, 1989), but then used in several other episodes after that especially in Season 1. To this day, some people even refer to the DynaTAC 8000x brick phone as the “Zack Morris Phone”. The world of mobile communication has sure come a long way in the last 30+ years. Most who are too young to remember what it was like before probably take their cell phone for granted. They also don’t remember what it was like to find a pay phone or use a phone booth which have suffered a slow extinction over the last 20 years or so. I’m just here to remind you that it all really started to happen in the great decade of the 80s. And that’s pretty awesome. It's funny to remember just how much we considered ownership of a cell phone a status symbol. Only the richest and most important people owned one, or so we thought. Now people own cell phones that don't even have running water. Priorities.